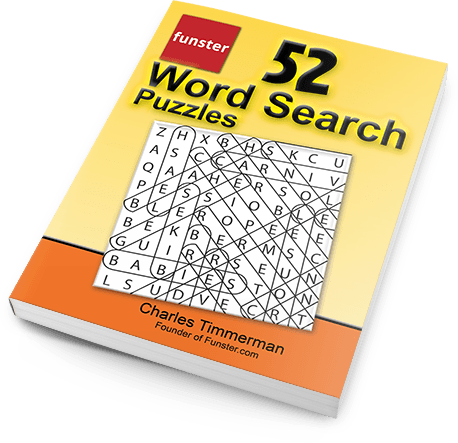 Puzzles can be printed in large-print or regular-print. Share the printed puzzles with friends and loved ones. I’ve sold more than one million puzzle books, but I’m giving this one away for free! You will also be subscribed to the Funster VIP Newsletter to stay informed of special offers and books. You can always unsubscribe with one click, but the book is yours to keep. 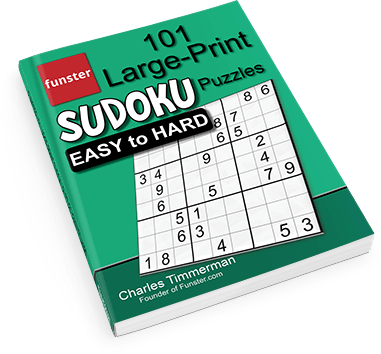 You’ll also receive Funster 101 Large-Print Sudoku Puzzles Easy to Hard, ready to print.